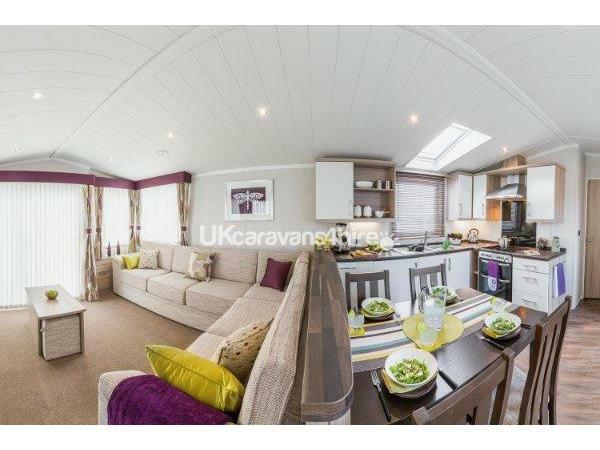 A non refundable down payment of £100 is required to secure your booking. The balance is to be paid six weeks prior to the start of your holiday together with an additional £100 in case of damage or breakages. This £100 will be refunded within a few days of your departure providing there is no damage/breakages and keys have been left in the security box. Please state the size of your party, the number of adults and children. We like to speak to our guests so please feel free to phone. 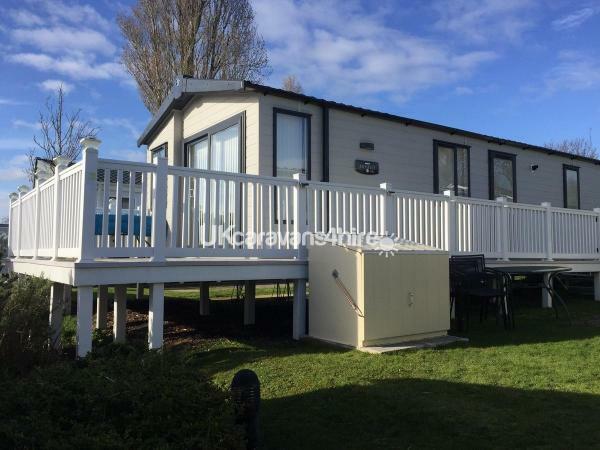 This platinum grade 2017 spacious Moselle Lodge is double glazed and centrally heated. 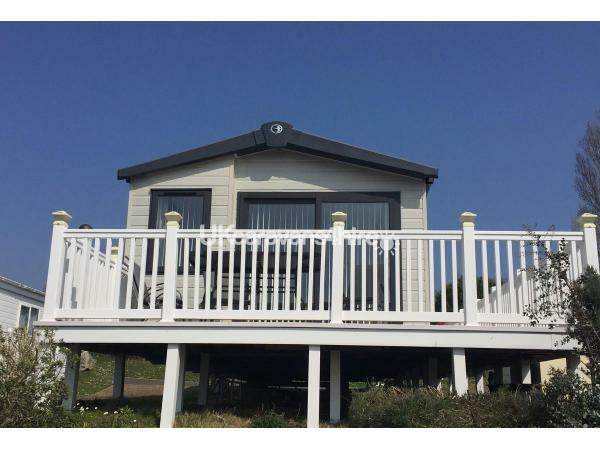 Located on Harbour View with great views of the sea and sunsets from the lounge and through the sliding French windows leading out onto the large wrap around gated (lockable) decking area. The lounge has a large corner suite, part of this converts to an occasional bed. The coffee table has two upholstered cube stools stored under. There is a 42" flat screen TV with Freeview, a DVD player and Bluetooth speakers. The contemporary electric fire is in a wood framed fireplace and the windows have horizontal blinds and curtains. 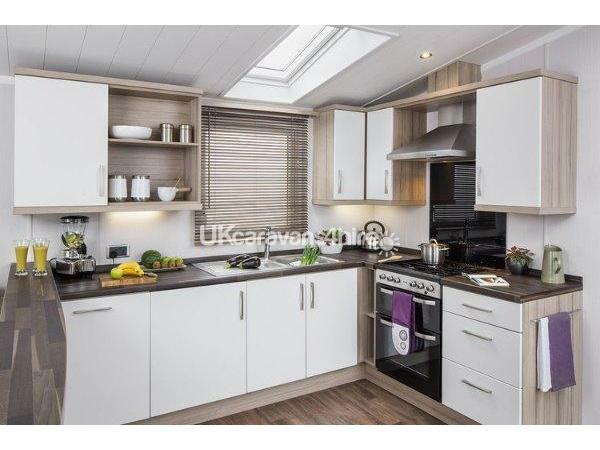 The kitchen is very well equipped with a dishwasher, washing machine, microwave, toaster, kettle, double oven, overhead extractor fan and large fridge/freezer. We provide a full range of cutlery, utensils, crockery and pots and pans, ironing board and iron. There is a very good assortment of glassware as well as colourful plastic bowls, plates and beakers for little ones. The dining table is freestanding with 4 chairs. We can provide a high chair and travel cot at no extra charge. There are smoke detectors, a carbon monoxide alarm and a fire extinguisher. We supply a generous complimentary ‘starter’ pack of tea, coffee, sugar, a selection of condiments, cooking oil, washing up liquid as well as liquid soap and toilet rolls. 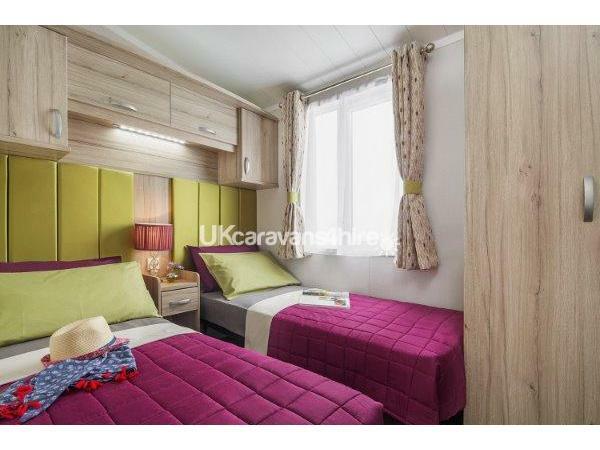 The master bedroom has a King-sized bed, dressing table, hairdryer, good sized wardrobe, 32" wall mounted TV with Freeview. 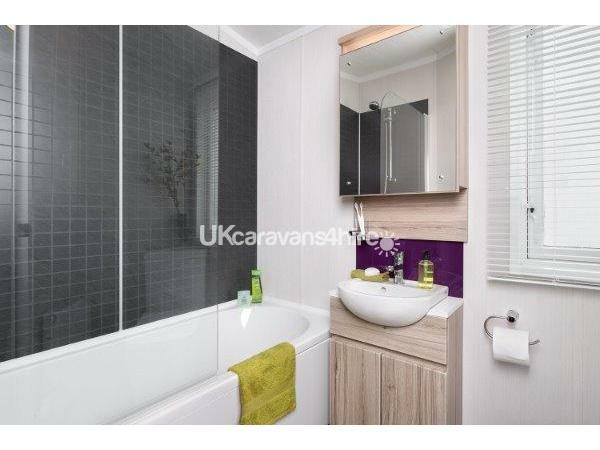 The en-suite bathroom has a full sized bath with shower overhead, low level WC and washbasin. 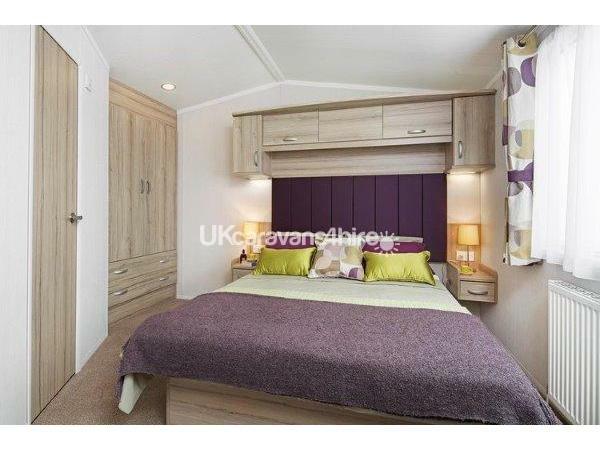 The second bedroom has two 2’ 6” beds which can be pushed together to form another King bed. Once again, a good sized wardrobe, dressing table and cupboards. All duvets and pillows are provided but not bed linen or towels. 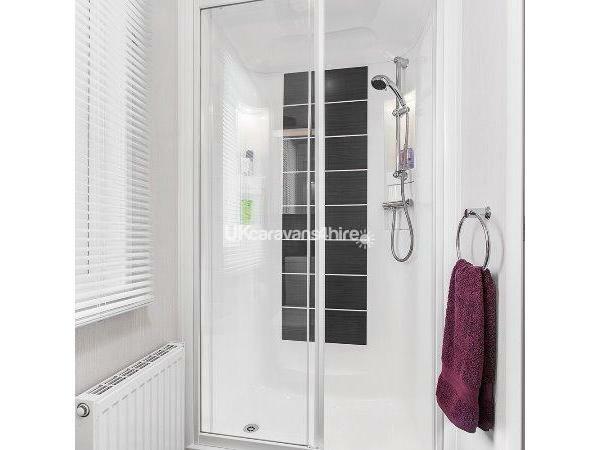 The shower room has a large shower cubical with sliding doors low level WC with soft close lid and wash basin. Plenty of storage space for potions and lotions! 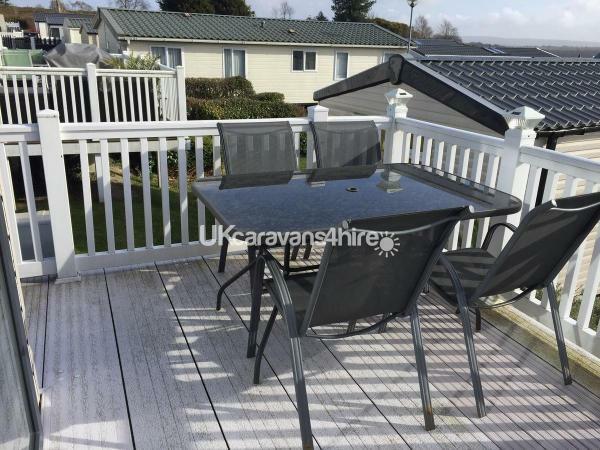 The large decking area has a table, four chairs and parasol for outdoor living. 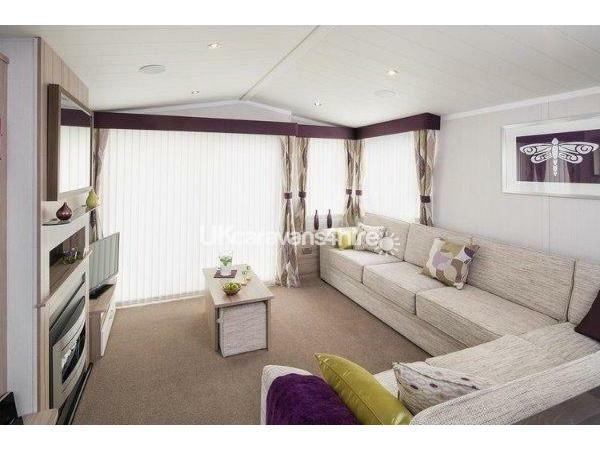 There is space for two cars beside the caravan as well as a grassy patio area with another garden table set. You are welcome to bring a portable BBQ. FunWorks passes are NOT included in the price and can be purchased on arrival at reception or we can send out a form for you to pre book directly with Rockley. These passes allow the use of the heated outdoor and indoor pools, flume and a variety of children's clubs. Also included are leisure and entertainment activities arranged throughout the day and evening for all ages around the complex, beach and Show Bar. aqua jets, aqua gliders, kayaking, turbo paddlers, all weather bowling green, bike hire, archery, tennis, archery, fencing coaching. Other activities and facilities include the use of the small but well maintained safe beach and children's park area. Coffee shop on the beach. Fishing and crabbing. There are organised crabbing competitions. There is a Spa on site exclusively for Rockley guests. 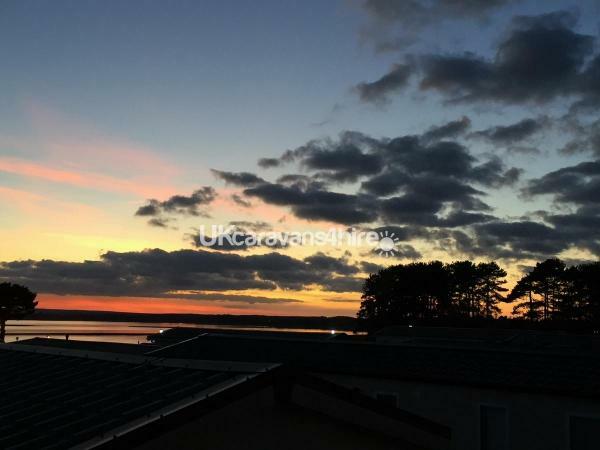 Glorious Sandbanks beach is approximately 20 minutes by car as well as the ferry to Studland Bay. A bus links you to the surrounding areas. There is a grocery store on site and superstores a few minutes away by car. Poole Quay is well worth a visit, 10 minutes away by car. We aim to make your stay as comfortable as possible. 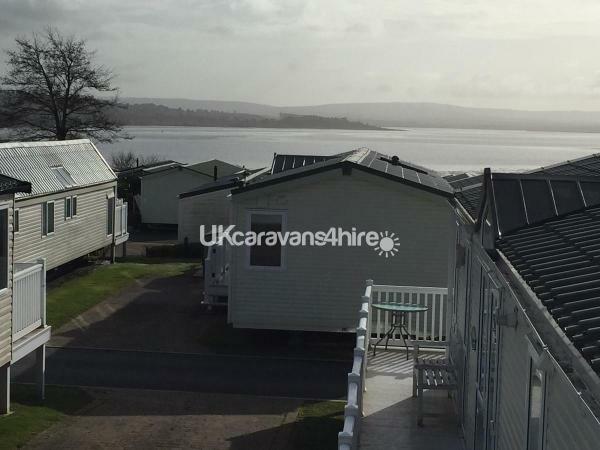 If you are not familiar with Rockley Park, suffice it to say that people come back year after year for the surrounding location and facilities of this 5* park. There are endless things to do on and off site. This can be seen on their website. This is a glorious part of Dorset. We are located approximately equal distance between the complex and the beach. Please phone, text or email for further details. Additional Info: Show Bar with entertainment. Heated outdoor and indoor pools. Grocery shop, Launderette, Fish & Chip shop, Luxury Spa Complex with treatment rooms.